THIELLS - Eileen Kearney said she was devastated when her 18-month-old son was diagnosed with a genetic disorder that would weaken his muscles over the years. "We were speechless. We couldn't believe it," the Orangeburg woman said. "We still cannot believe it." Kearney's son, Kevin, now 6, has been fighting Duchenne muscular dystrophy. Kearney said Kevin could still walk on his own, though his movement was slower than other children's. Because of the progressive nature of the disease, she and her husband, Peter, need to renovate their house to make it wheelchair accessible, Kearney said. "We have to do it. We cannot live in this house," Kearney said of the couple's colonial. "We did look at getting another house with less steps, but we would have to renovate that house anyway. So we decided to stay here." 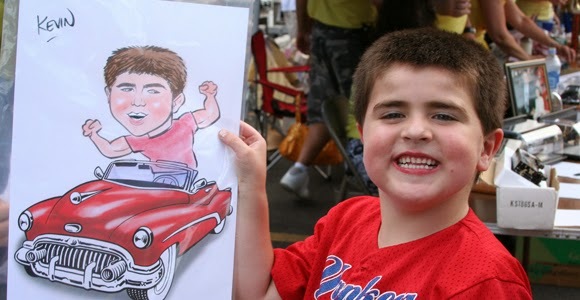 Kevin was chosen as one of three recipients of this year's benefit, Cruisin' for Kids, an annual car show organized by Neighborhood Cruisers, a non-profit organization based in Stony Point. The event raises money for children with extraordinary needs because of their illnesses. "I'm so touched. Complete strangers could help us. They don't even know us," Kearney said of Neighborhood Cruisers, noting that the couple hope to use the money from the benefit to help finance the renovation. Grace Christakos, vice president of Neighborhood Cruisers, said she and other members of the organization have dedicated their time for the event year after year because they knew they could make a difference in children's lives, even if it's small. "It's so rewarding. If you see these children, if you could help them. ... It's so dear to me," Christakos said. 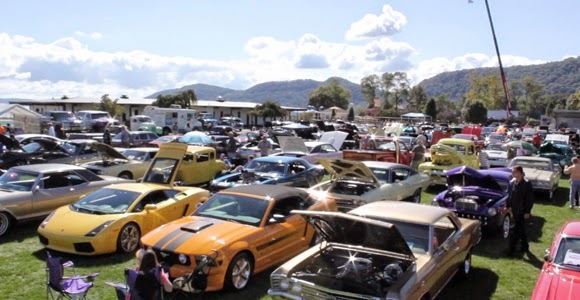 "I know they are sick, but when we give them a little joy at the Cruisin' for Kids ... it makes everything worthwhile." The event's two other recipients are 1-year-old Emma Westcott of the Bronx, who was born with a birth defect called congenital diaphragmatic hernia, and 5-year-old Julia Pierce of Harriman. Dayna Westcott, Emma's mother, said her daughter has had six surgeries. Because physicians who specialize in Emma's disease didn't accept the family's health insurance, she and her husband, William, 37, have been dealing with mounting medical bills, Westcott said. Three to four surgeries a year will be required until Emma reaches 16, Westcott said. But Westcott said the organization's gesture has meant much more than financial help. "Because we feel very alone, ... we kind of shut down. We were very depressed. Very sad," Westcott said. "To have people who don't even know you reach out and want to help you, it's completely overwhelming." This year, the Neighborhood Cruisers selected three children to be the beneficiaries of this year's car show, Cruisin for Kids. Emma is 1 year old, born with a birth defect called left sided congenital diaphragmatic hernia. Emma’s intestines were growing inside of her chest and her left lung was being compressed. Despite being given a very low survival rate, Emma and her twin sister were born January 7, 2008. After several operations and with more to come as she grows Emma is a survivor of CDH. Her battle is not over and there is always a chance of reherniation. The Family faces a great deal of expenses as insurance does not cover all of the expenses incurred. Julia Pierce - Harriman, N.Y.
Julia is 5 years old and is diagnosed with Acute Lymphoblastic Leukemia. Julia is now in the fight of her life as she faces approximately three years of chemotherapy and five years until she will be considered cured. She will be unable to start kindergarten this fall. She has also had to give up the dance classes she loves because of her compromised immune system. The Family is facing mounting medical expenses and other bills associated with Julia’s care. Kevin is 6 years old and suffers from Muscular Dystrophy a condition characterized by the loss of muscle strength. In approximately a year Kevin will need a walker. In 2 years he will need a wheel chair. Since all the bedrooms in the Kearney home are on the second floor they are in need of a renovation to allow Kevin to function more easily. Every year, the Neighborhood Cruisers select local families that are in need of financial help, due to the rising costs of hospital bills, medicine, and medical treatment. Watch the stories of six families; all who have received help from the Neighborhood Cruisers.